Building a lemonade stand with your children is a great activity! You can go as extravagant or minimal as you like but be creative! Above is a photo of the one we made for my daughter Abby when she was just a little girl. 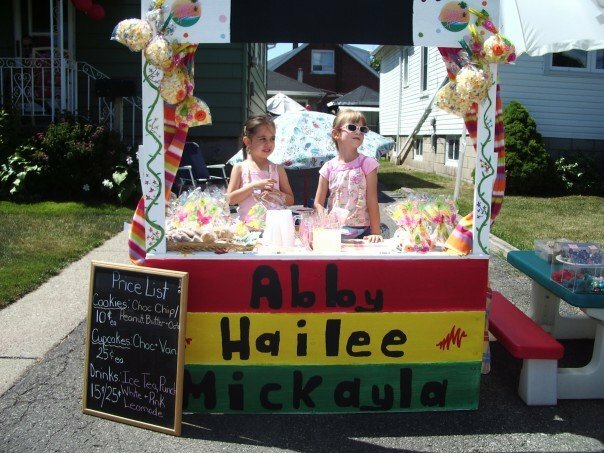 Abby and her friend had a lemonade and baked goods sale where they made over $80.00! My mom may have sent out reminders to every single person she knew telling them to stop by and support their sale. It’s memories like these that last a lifetime and ones that I fondly remember. We all had a great time building the stand as well as watching the girls excitement every time someone new would come by their stand. I am excited I get to do all these fun things again now that we have Bella. She is just getting to the age where she is starting to pretend play and it is the cutest thing ever. I miss those moments with Abby and Hailee but am glad I get to relive them all over again through Bella. 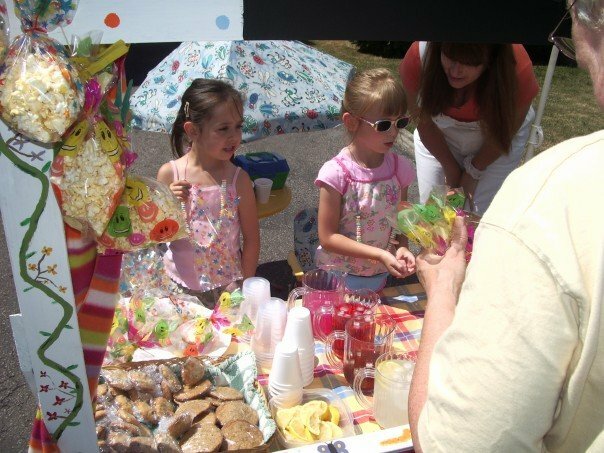 Depending on the materials you are using, wood or cardboard, simply assemble it together to create an awesome lemonade stand. It really is that simple. Once you have created your lemonade stand let the kids decorate it with paint, sparkles, stickers or whatever else their hearts desire! The girls selling their products! 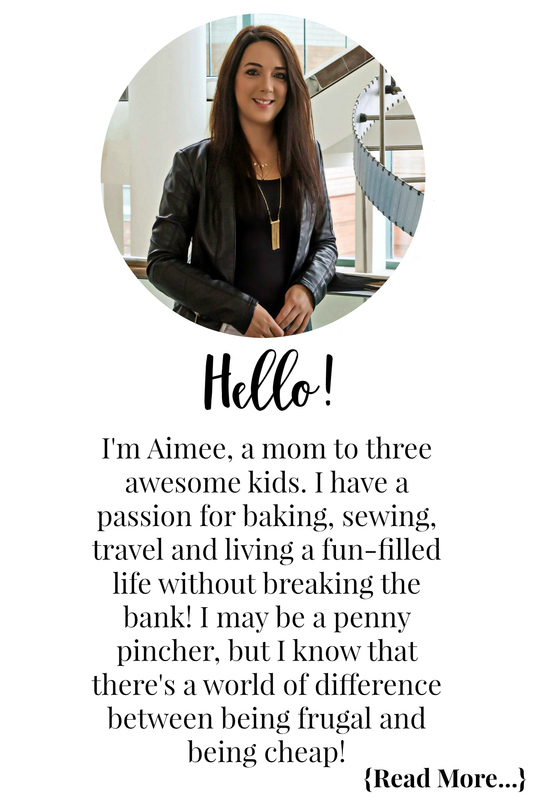 This is a great way for the kids to have fun and to learn about money. I remember doing something similar and I loved it and I remember feeling like I had done something really great by earning my own money. Well isn’t this not wonderful !